Lets face it. 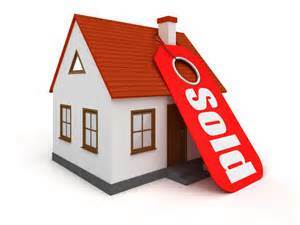 We try not to take the process of selling a home personal but it is. It is where you have held celebrations and curled up when things got rough. You know every beam. You know exactly where the sweet spot is in the shower so the water isn't too cold or too hot. The house is a part of you. But now you and your family have made the choice and are excited about more room or a little less room. A warmer climate or a home closer to family. Whatever the reason, the right realtor will understand this and the New Jersey market so it won't be painful. Selling your home takes several steps. The first step is finding the right price for your home. This is done with a thoughtful evaluation based on other homes with the same size, age, location, and several other factors. Then prepping your home for your first showing. This is where we take a look at your home and make it less personal and more generic so that buyers can connect with the house. Next are showings. A critical stage in home selling. Many sellers become frustrated with this process. It takes a lot of work to show your home and not hearing feedback from potential buyers is frustrating. So I work hard to ensure that every potential buyer is pre-qualified with a mortgage broker and feedback is provided within 24 hours following your showing. When your offer is presented, your interests are the most important thing to me. Not all offers are for asking price and not all offers have a bidding war. But through negotiations, I have been consistently able to make my clients happy with their deal. Finally, are the real nail biters. The inspection process presents a lot of "what ifs" on both sides. A strong realtor such as myself will negotiate for what is right and just. So that when you and I sit down together at closing you can feel good about the sale of your home.